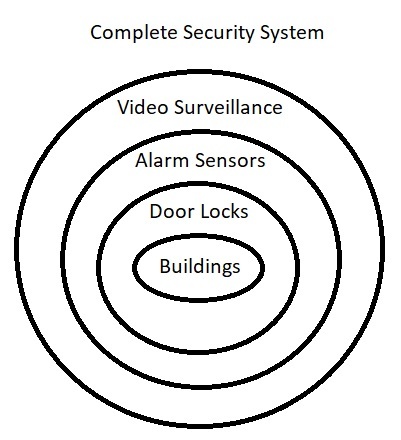 Full security systems comprise three circles of protection, physical locks, alarm sensors, and video surveillance. The most common is physical security with door locks. The second most common are smart alarm systems. 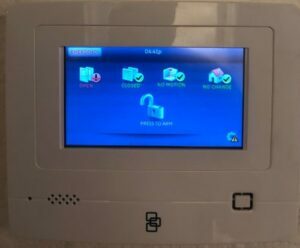 Smart Alarm Security Systems consists of wireless door, window and motion sensors connected to a central control panel in the building. The control panel communicates remotely via a cellular module to the internet and mobile applications for alarming, disarming, notifications, history, controlling devices and self-monitoring. Third party central stations are available for monitoring. 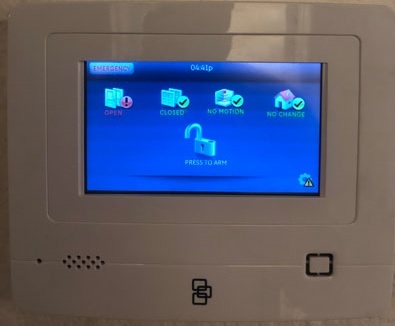 With compatible hardware, the smart alarm system can integrate with residential and commercial access control doors and video surveillance all under one platform for easy management. We service and install security systems to integrate your mechanical door locks, alarm sensors and video cameras under one platform. Call Lars at 541.600.4812 or email lars@locksmitheugeneoregon.com to schedule an onsite survey for installing a new smart alarm security system below online now. Click here to generate an online estimate for a Smart Alarm Security System. How many internal points or walkways to be monitored for motion? Geo-Fencing? Automatic arm and disarming of the system? Heating, cooling and temperature controls? We partner with Square to provide financing of new installations of smart alarm security systems. Please select a time slot for a free onsite consultation for a smart alarm, access control or video surveillance security system estimate. A technician will call with a 15-30 minute ETA during the time slot when en route.